We should celebrate this time, not as the end of the war but as the beginning of a much bigger battle. As the regulations take effect, many people who have buried their heads in the sand will wake up as they see things start to change in their lives, especially when they go to try new flavors or their mod breaks. Those who’ve sat on the sidelines because they thought the fight could be won by others will wake up and the families and friends of vapers everywhere are about to see the light. The FDA is trying to muzzle the vaping industry and force people to withhold the truth from their customers at the same time as information is coming out that shows that they are either in denial or blatantly disregarding the facts. They may tell us that we can’t make modified risk claims but the information is already freely available on the web that vaping is 95% less harmful than smoking. 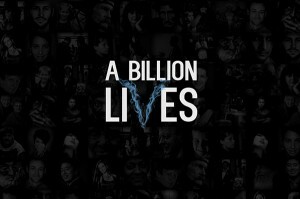 This weekend, the documentary, A Billion Lives made its official US début in Milwaukee, Wisconsin. In the space of a few weeks since it was first seen in New Zealand the movie has helped the Government there see the light and change the way they approach vaping, it has helped to change public opinion as people realized that they were being lied to. This one movie has the potential to change millions of minds because it wasn’t made by vapers and it isn’t even aimed at them, but it does paint a picture that shows in detail exactly what vapers and their industry are up against. It has the potential to do something that we have collectively failed to do up to this point, which is gaining the attention of the mainstream, keeping this fight in the public eye rather than allowing it to be buried under false studies and exploding battery stories. Politicians can no longer ignore the truth if the people know that what they’re selling stinks. It’s harder to destroy something when the population understand it saves lives, especially when they are now questioning your motives for trying to kill it in the first place. We have lawsuits in place that can greatly help our cause, we have bills in Congress to put the FDA on the back foot but we, as a whole, must not falter even as the world seems to be crumbling around us. Our job going forward is exactly the same as it has been up to this point, educate everyone and don’t let the lies spread. It’s our job to be ambassadors for the vaping movement, the community and for the industry. We must evolve with the times and respect the situation we’ve been put in, don’t give the enemy an excuse to come down on us any more. Standing shoulder to shoulder with the advocacy efforts, all of them, as a single body facing the Governments wrath on a battle line that has been drawn in front of us. The revolution is about to start folks, I hope everyone’s ready for a good fight! Excellent Article. So true, never stop fighting for our rights! I love vaping it has helped me to stop smoking so I can have my life back for me and my family. My family is happy that I have stop smoking. I am 52 years old and I make drip tips as my living. The FDA is now saying that a piece of acrylic is a tobacco product?!? When will it stop? When will we put our foot down and tell them where to go with their lies and unfair regulations? Now!!! Now is that time. Market them as ear stretchers/tunnels, or something else that isn’t related to tobacco related. You can’t stop people using them in a different way, right? Vaping has saved my boyfriends life 2 years Cigarette Free. He is vaping & down to 3 nicotine. Vape On. TY for sharing this information. Vaping has changed my life for the better! I am so thankful to have found something that made me quit smoking cigarettes after 19yrs. It’s a miracle & a blessing. Vaping needs to be supported by the government if for no other reason other than the decreased strain on the medical system. It saves lives, and should be treated that way. Imagine if the government tried banning seat belts in cars- it would be ludicrous. Its the same thing with vaping, plain and simple. You don’t ban things that help people. In fact, you SUPPORT them- quite the opposite to what the government is doing. Like Daniel said, we need to stand united and create awareness at every chance we get. Its our duty to society. Only for Vaping I don’t think I’d be typing this.